Hey NY and NJ friends! 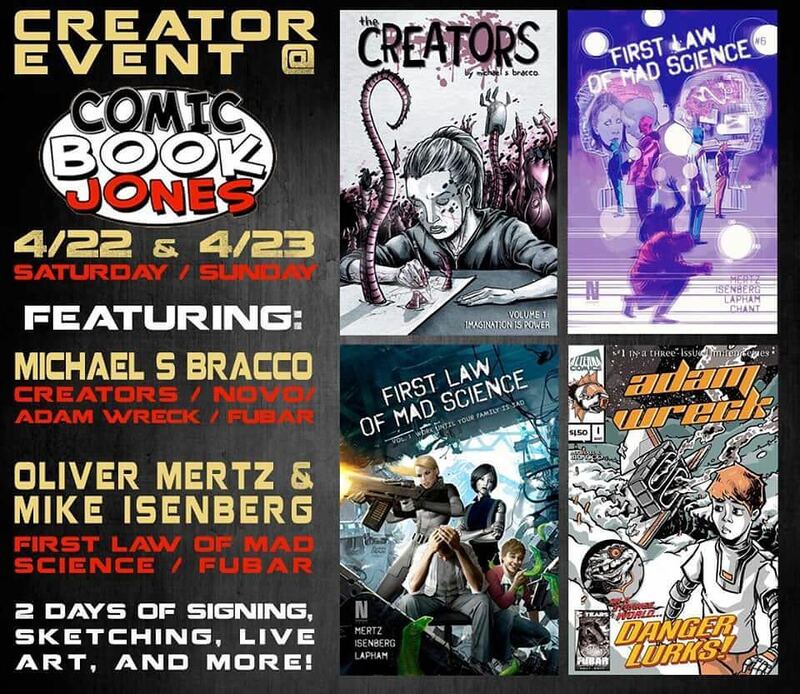 Mike and I, along with the talented Michael Bracco, will be hanging out at Comic Book Jones on Saturday, April 22nd, and Sunday, April 23rd. 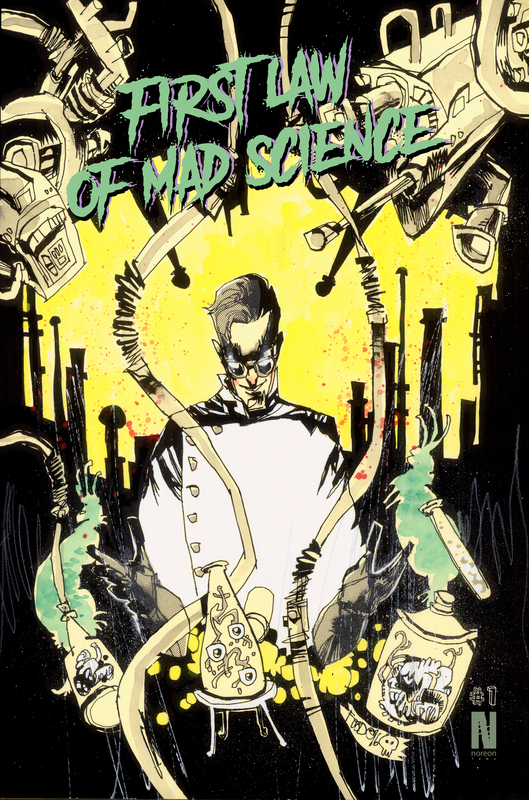 We’ll have copies of the First Law Of Mad Science trade, issue #6, as well as a brand new, limited to this con season only, Jim Mahfood variant cover for issue #1. Mike and I have been fans of Jim’s art for a long time, so it’s a tremendous honor to have him contribute to our comic. Come by, hang out, and get some comics! Or don’t! But, you know, like, that’s your loss and stuff. 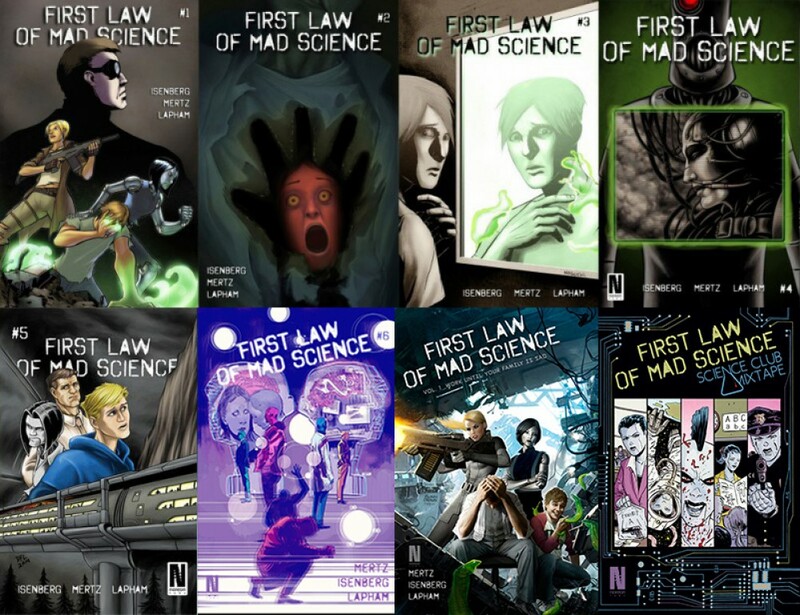 This entry was posted in Uncategorized by firstlawofmadscience. Bookmark the permalink.